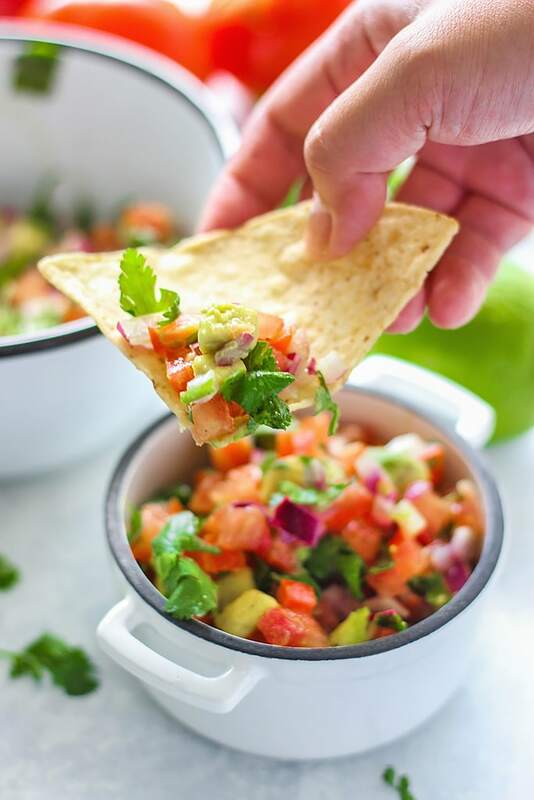 Today we’ll be doing a quick and easy dip called pico de gallo or salsa fresca. 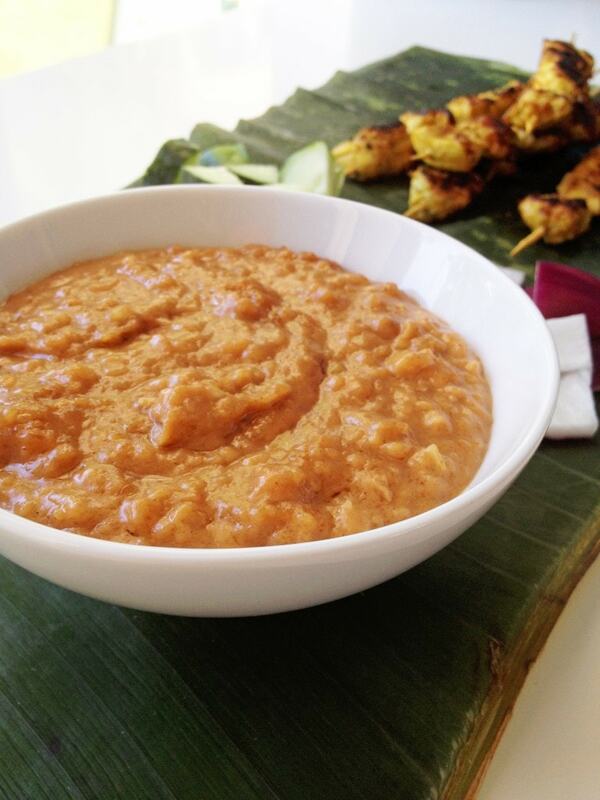 It’s a fresh diced tomato-based dip full of texture and flavor and also one of my favorites! 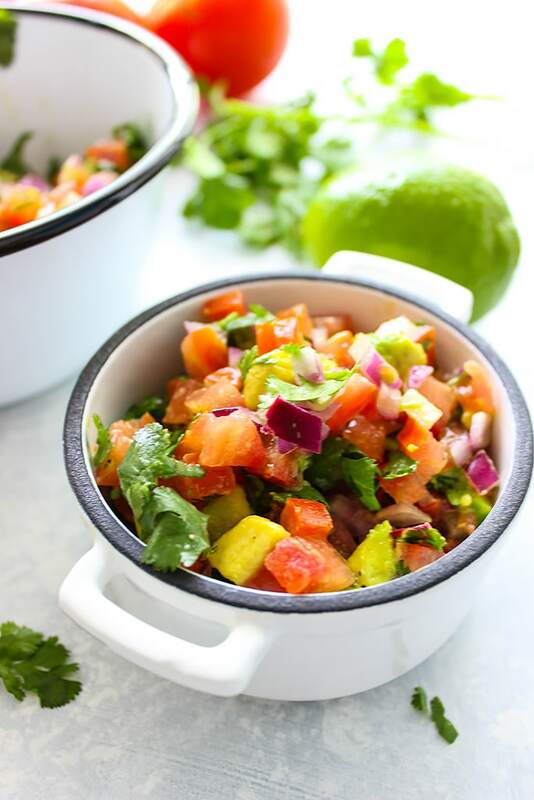 It has a hint of creaminess from the avocado, crunchy red onions and freshness with cilantro and some lime juice. I’ve stayed off jalapenos to keep this kid-friendly but if you want that bite, go ahead and add a couple or substitute with some red pepper flakes. This is something you’ll want to hoard with tortilla chips at parties or at home while starting a Netflix marathon. Or if you’re feeling generous go ahead and share it. You can also use it as toppings for your tacos or fajitas. Make sure to remove the seeds from the tomatoes before dicing so you’re only left with the flesh. 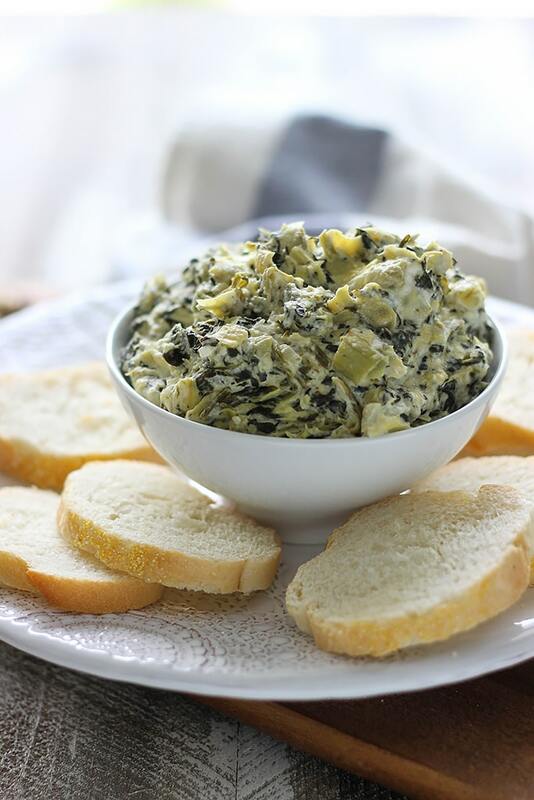 This is so your dip isn’t super watery and slimy. Finish up dicing the red onions and chopping the cilantro before moving onto the avocado. You’ll want to minimize the time the avocado is exposed so it doesn’t brown. Here’s a great way to dice your avocado without getting your hands too messy. I did it while making the dip and it works wonders! 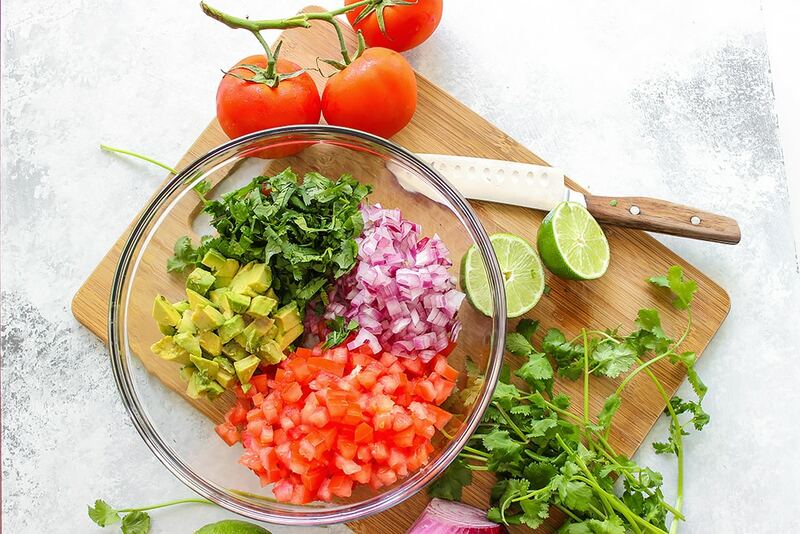 Once the avocado is diced and ready in your prep bowl, squeeze the lime juice all over it to keep it from oxidizing and staying nice and green. The acid in the lime juice is a strong antioxidant that will dramatically slow down the browning process. Then we mix! Add in salt and pepper to taste and if you want some heat, toss in your jalapenos/red pepper flakes. Dish and serve at room temperature or chilled. 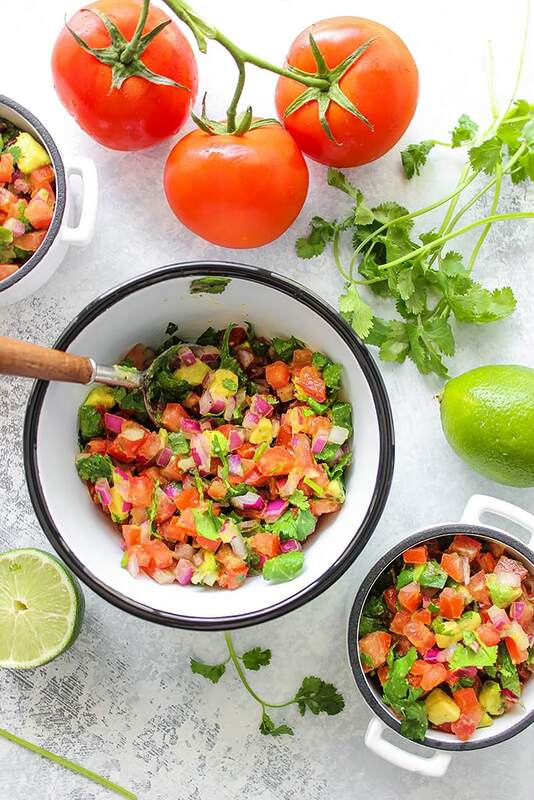 A quick and easy recipe for Pico De Gallo (Salsa Fresca) with fresh avocado, tomatoes, red onions, lemon juice and cilantro. 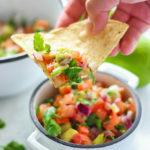 Use it as a dip or topping for tacos! Add diced jalapenos to make it spicy. The more seeds you keep the spicier it is. 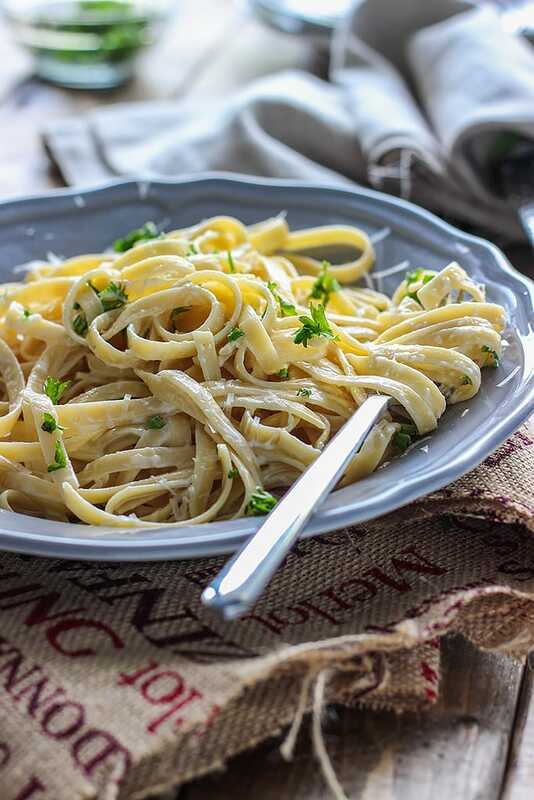 If you only want a a hint of spiciness, try red pepper flakes instead.